Day One of the Australian Council of Trade Unions’ Congress was memorable for a couple of reasons. The appointment of Michele O’Neil, pictured right, as the President was a notable achievement, one made more memorable as she denied any desire to move onto a political appointment. The other memorable event was a string of shopfloor representatives outlining their innovative approaches to the recruitment of members and the creation of (sub)unions for hospitality workers, hairdressers and indigenous workers in the Northern Territory. 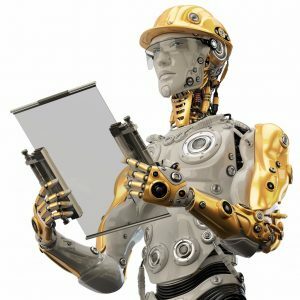 Workplace safety was mentioned a couple of times in passing but occupational health and safety (OHS) seems to becoming more a thing that is, rather than a thing that is named. If we look for it, we find it. 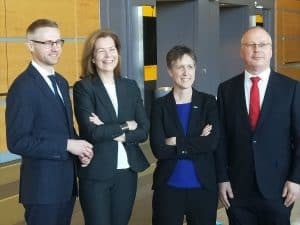 The recently appointed Secretary of the Australian Council of Trade Unions (ACTU), Sally McManus, made a major speech at the National Press Club on 21 March 2018. It was forecast to lots of media outlets the morning prior to the speech with selected quotes from McManus, flagging how significant the trade union movements consider this speech. She made her pitch by reiterating the Australian belief in fairness, the “fair go” and said this is based on two things – “having a job you can count on, and fair pay.” Having a “safe job” was sort-of mentioned in the speech but usually in political terms. It will be interesting how this speech fits with the anticipated speech for International Workers’ Memorial Day in just over a month’s time. Was it worth going to the World Congress on Safety and Health? I travelled to the 22nd World Congress on Safety and Health in Singapore as a delegate and a media representative from my home in Australia. Was it worth attending? Yes and no. That may seem a weak answer but I attended in two capacities with two purposes – as an occupational health and safety (OHS) professional and an independent media representative. Both were satisfied a little bit and both could have been better. Here’s a personal report on my professional and media experiences at the World Congress. The need to change the demographics of the occupational health and safety (OHS) profession to reflect society. Any organisation that is undergoing change must acknowledge that even though it may be replacing “old school” thinking and structures, sustainable progress is best achieved by accepting the future is built by “standing on the shoulders of giants”. Just because an organisation or profession has been structured one way in the past does not mean that structure remains applicable for the future. In fact there are currently 9 readers online and a total of 17390 readers this month!